Here at BackupAssist, we predict the coming year will bring a mixed bag of results - from AI and machine learning advances used for positive outcomes, while an even more intense battleground develops between ordinary businesses and cyber criminals - an unfortunate escalation of events from 2017. The positive trends in artificial intelligence (AI) adoption will continue across the board, such as businesses using machine learning to process, trend and analyze information. In particular, I believe the next stage will be an AI evolution in dealing with customer interactions. Of course, anything that can be used for the positive can also be used for the negative. In 2018 we may see the use of these same automated technologies-AI and machine learning-to create, evolve and deploy more virulent forms of ransomware. In late 2017, we saw weaponized AI that simulate spear-phishing attacks that can lure in victims with a higher success rate and output than human hackers. This means the age of ransomware-and the threat to all businesses-will only get worse. Because of this and other factors, we are confident that data breaches, and specifically data leaks, will continue to increase, and I fear that more and more companies will be hijacked and blackmailed. Ransomware will present an ongoing risk to all businesses and organizations, but this blanket risk is only one aspect of the problem. Unfortunately, Uber set a terrible example, where $100,000 was paid to hackers to conceal a data breach. This has put a concrete price on the potential bounty available to hackers when they penetrate a company's security. Insider leaks will also continue, forcing companies to re-examine their security and access policies, but it will take time for companies to react. The meteoric rise of cryptocurrency will also mean the theft of cryptocurrency wallets will become more widespread in 2018. I believe the money to be made in this sphere will mean more individuals will become immersed in cybercriminal activities. Much like ransomware like Petya, Mischa and Stampado paved the way for anyone to buy ransomware-as-a-service, we will see the reduction of barriers to entering this field. With the introduction of GDPR in May 2018-and the strengthening of laws relating to mandatory data breach reporting-we will for the first time have an understanding of how bad the situation is. And, given what we have seen so far from fragmented reports, I expect it to be worse than is currently believed. But, there is of course light at the end of the tunnel. I foresee that encryption, used for preventative cyber-security will provide the backbone for solutions to some of these problems. Encrypting data stored in the cloud will make hackers' lives harder and prevent data breach, while it will also help prevent data exfiltration and loss. Specialist ransomware protections and improved backup technologies will also enable organizations to combat the rise in data-hijacking. 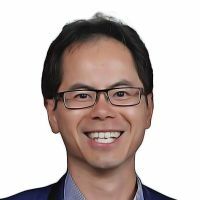 Linus Chang, Founder and CEO, BackupAssist (Cortex I.T. Labs Pty Ltd.), creator and original programmer of BackupAssist, the leading backup software product for Windows Servers. Since its inception in 2002, BackupAssist has provided a simple and cost effective way of backing up Windows Servers - famous for its value pricing, "it just works" user experience and outstanding customer support. BackupAssist has been sold to 165 countries - to small and medium businesses, schools, universities and government departments. Notable customers include NASA, NATO, US Department of Homeland Security, US Navy, US Department of State, GE, Pfizer, MIT, Stanford, UCSD, and Monash University. Prior to BackupAssist, Chang served as EO Accelerator Chair, EO APAC Regional Director, Consultant, and Oakton Computing. Chang attended the Macquarie Graduate School of Management, Monash University earning a B.Sc., Computer Science, Electrical Engineering, and Haileybury College.